The latest in European Automatic Door Security Systems is ‘RC2’ (Resistance Class 2). Stainless-Steel throw-bolt locks and hook locks are available on GEZE Automatic Door systems. It is not required under Australian Standards. It is an option for discerning clients who value practical, superior security. 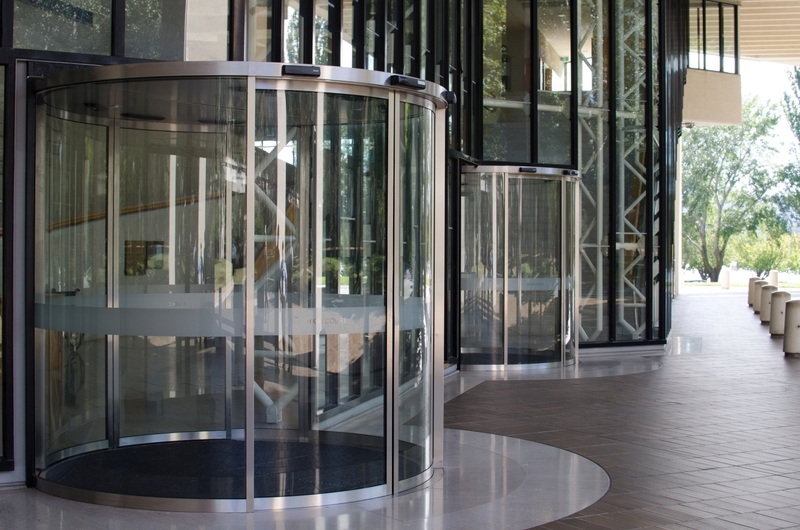 The High Court (Canberra) has a curved glass automatic door system, installed by Progressive Controls Pty Ltd, 2016. This ‘SL’ (Slimline) profile installation uses RC2 security. GEZE and this leading security standard was chosen because the product was considered superior technology by the purchasing officer. High Court of Australia, 2016. Curved Glass Automatic Sliding Doors by GEZE & Progressive Controls. RC2 (Resistance Class 2) Security. 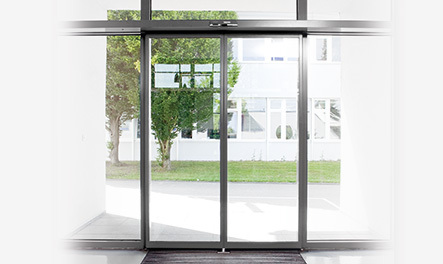 The security options for automatic doors from GEZE are so highly prized that GEZE security auto doors with RC2 locking were chosen for the Basel Exhibition Grounds in Switzerland (click for more information). Of particular focus is the annual event called BASELWORLD, THE global trendsetting event for the watch and jewellery industry. The products on display at this event are some of the most luxurious personal items in the world. If a Swiss watch and jewellery international event has opted for GEZE automatic doors and the GEZE RC2 security solutions, you should be considering the same GEZE RC2 standard for your secure location. GEZE RC2 Lock SecurityThe next generation of security is now available in GEZE Automatic Door Systems here in Australia. GEZE products are manufactured in Germany. The new European Standard, Resistance Class 2 (RC2) security locking is available as an option from Progressive Controls Pty Ltd as of now for the discerning, security-conscious, Australian buyer. The solution provides an extremely sturdy automatic sliding door system designed to thwart the efforts of intruders/burglars attempting access through the automatic sliding doors. Old intruder tricks to bypass ‘locked’ sliding glass door systems are obsolete in the face of this new level of security for your premises. RC2 is a higher standard than we’re used to in Australia. Progressive Controls is proud to introduce this next generation of security to the Australian market. If high-security is a focus at your installation, be sure to ask Progressive Controls Pty Ltd about GEZE RC2 security solutions. Repair your Conel Keypad? Repar your Conel Electric Chain Winder?